The introduction of an all-new, state-of-the-art V6 diesel engine marks yet another milestone in the evolution of Jaguar's S-TYPE premium executive saloon. Jaguar Australia confirms the Jaguar S-TYPE Diesel for an April arrival. The Jaguar S-TYPE Diesel has picked up the award for the 'Best Executive Saloon 2005' at the Top Gear Magazine awards held at in the United Kingdom this week. The centrepiece of Jaguar's display at the Australian International Motor Show in Sydney is the R-D6 concept, and at the heart of the R-D6 is the state-of-the-art new Jaguar V6 Diesel engine. The introduction of an all-new, state-of-the-art V6 Diesel engine marks yet another milestone in the evolution of Jaguar’s S-TYPE premium executive saloon. Jaguar's premium mid-sized sports saloon - the S-TYPE - has further developed. 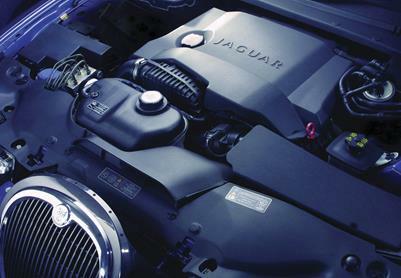 2006 Jaguar S-Type 2.7-litre V6 diesel - Diesel Engine Bay.